As you know I got back from Phoenix a couple of weeks ago and I wanted to share with you my trip, in what I call a Nutshell. They had us super busy and feed us the most amazing food ever! I will go in more detail in a separate post about all of the goodness that is Phoenix. First off I got in around 1pm and I couldn’t wait to check out what Phoenix has to offer. 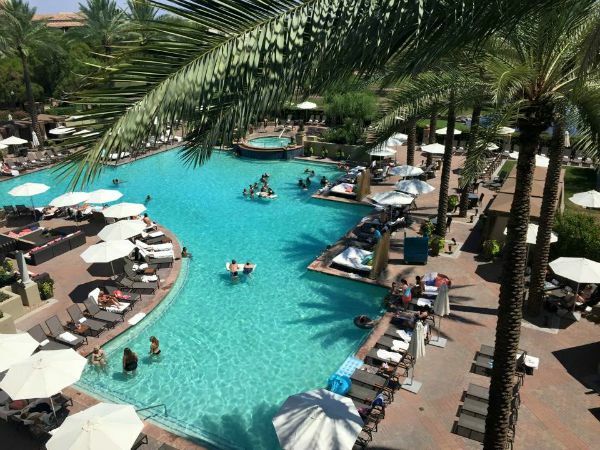 As soon as Theresa picked me up from the airport we headed straight to the Fairmont Scottsdale Princess. I got to my room that I simply loved and ran to meet the girls at the pool. I had a margarita and enjoyed some sunshine. After a quick dip in the pool we met up to have dinner at the Blue Hound Kitchen. Oh my gosh, this restaurant was amazing! They brought us so many dishes to try out. We ate family style so everyone could try everything. I was beyond full. They had an amazing Shrimp and Grits, that I couldn’t stop eating. Who would have thought, Phoenix would have amazing Shrimp and Grits? 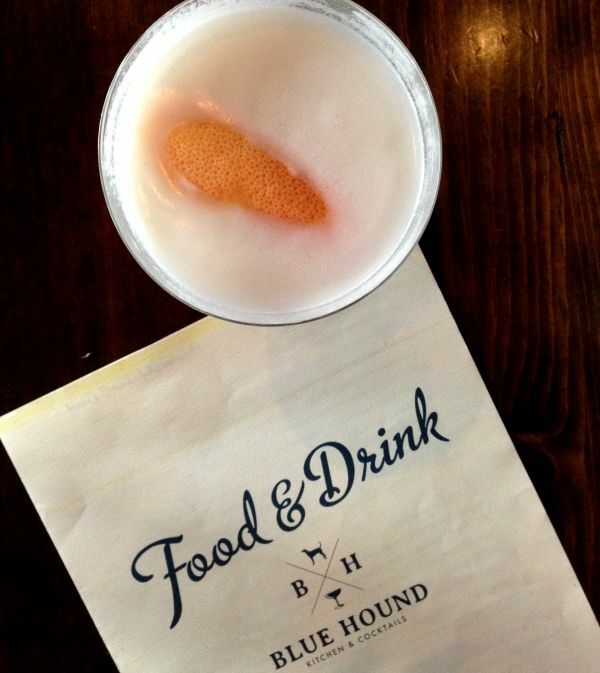 The Blue Hound Kitchen is also known for there drinks. I had the Lost melody which was smirnoff, chareau, grapefruit liqueur, coconut cream, grapefruit juice and rose water. It was so good! The perfect cocktail to have with friends. The next morning we met up in the hotel lobby to head over to Joe’s Farm Grill. This was on my foodie bucket list if paces to eat at. I had to go after I saw it on DDD. We met Joe during breakfast and what a wonderful man who has a passion for the environment and good food. He gave us a tour of the local community gardens and we ended up in the coffee shop that had delicious ice coffee and cupcakes. 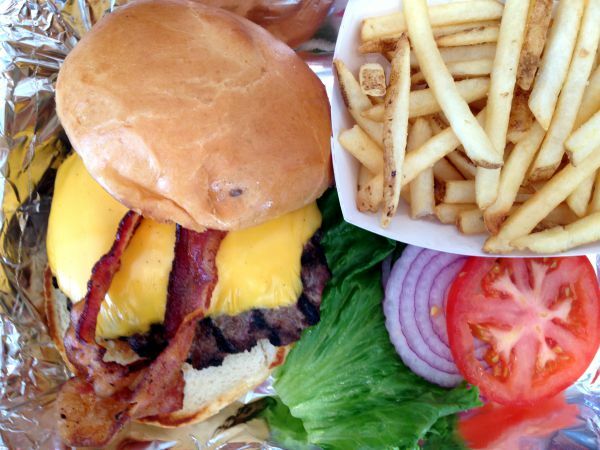 I had a burger for breakfast, first time ever, but it was so delicious and after all I had to go and have a burger! I would have regretted it if I didn’t! I was not disappointed at all! After Joe’s Farm Grill we all got together and headed to Hayden Flour Mill. We got to learn about how they process flour and make homemade pasta. It’s quite and art and takes a lot of talent to make flour. 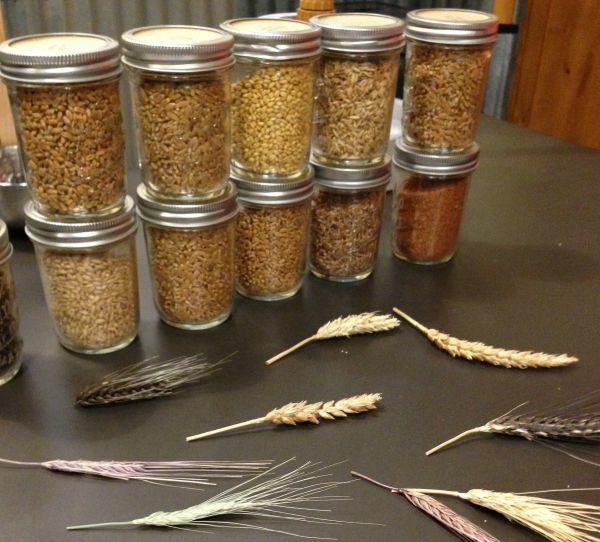 They showcase flavorful grain and its importance to the American diet highlighting everything from artisan breads, pasta and wheat berries to Bourbon, craft brews, grain-based oils and more. Official grand opening is scheduled for Fall 2015. After Hayden Flour Mills we headed to Queen Creek Olive Mill to learn how they process olive oil, have lunch and go shopping. This store was huge and I couldn’t believe how busy it was. So many people eating lunch together, laughing and talking. This is definitely the place in town. One thing I learned is black olives are not natural olives. They are soaked in lye, which gives them the black color. The darkest olive is the kalamata olive. I will no longer buy black olives after learning that. Queen Creek Olive Mill is an awesome stop and I swear I could have shopped until I dropped! 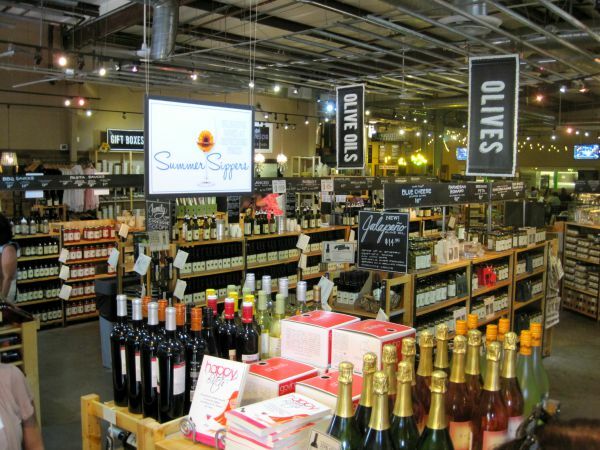 They have so many flavored olive oils, like meyer lemon, bacon and blood orange to name a few. If your ever in the Phoenix area, you should stop by for some lunch and shopping. Can you believe this is the first of day? It’s not over yet! 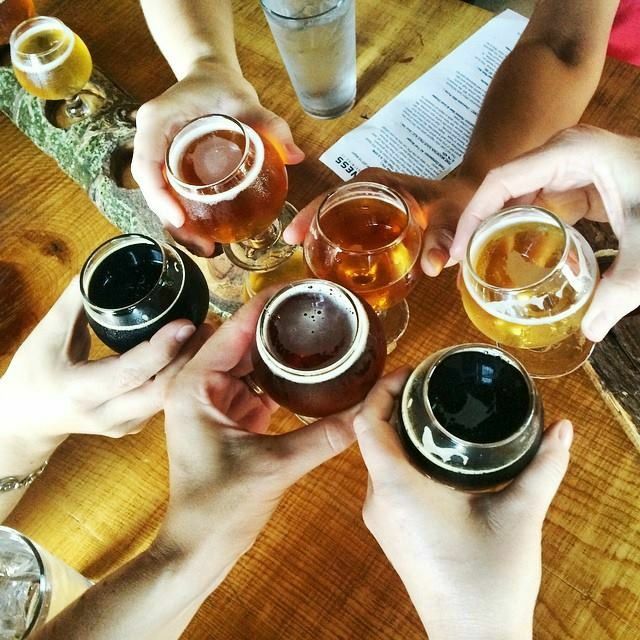 After the Olive Mill we headed to Arizona Wilderness Brewing Co. I learned about brewing beer and I also learned that I am in love with maple chipotle ketchup! Yes ketchup! We had some appetizers to go with our beer and the ketchup I will never forget. I had such a great time and my belly was beyond full and we haven’t even had dinner yet. Now time for dinner! After I got back to my hotel room, I quickly changed for dinner. We ate at the La Hacienda at Fairmont Scottsdale Princess. We met up with Val, as she gave us a tour of the resort. Doug from Visit Phoenix also joined us for dinner. I sat next to Doug and we talked football. I was telling him about the next SF 49r’s new Levi Stadium. When we met at the restaurant we were greeted at the door with margaritas. You already know I love this place. We sat down and had some appetizers and did some Tequila tasting, which they call Snake Bites. I filled up on homemade guacamole and chips. By the time dinner came I couldn’t eat anymore. 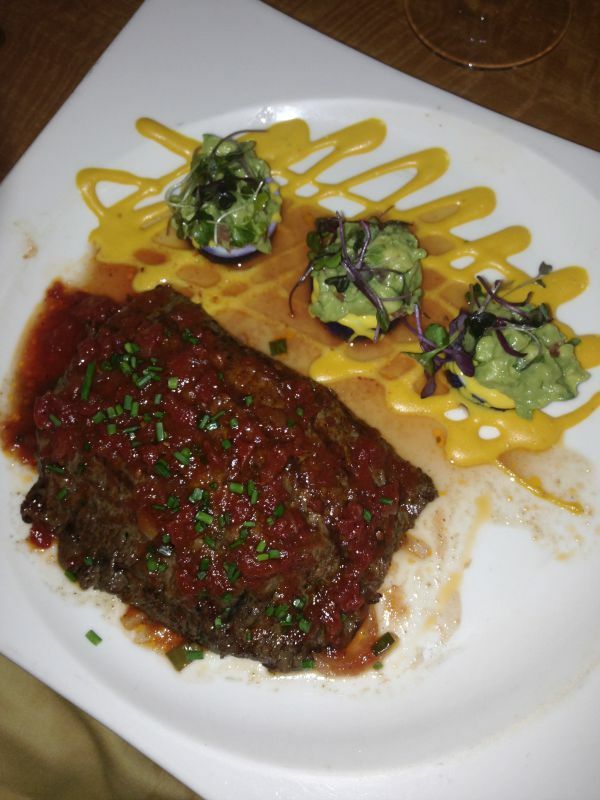 I sampled my dinner which was Skirt Steak with an enchilada with mole sauce. It tasted good, but only wish I had more room in my belly. Oh I almost forgot! Right in front of us they made a flaming coffee dessert drink! OMG!! It was so cool. You can check out the video here! Now time for bed! 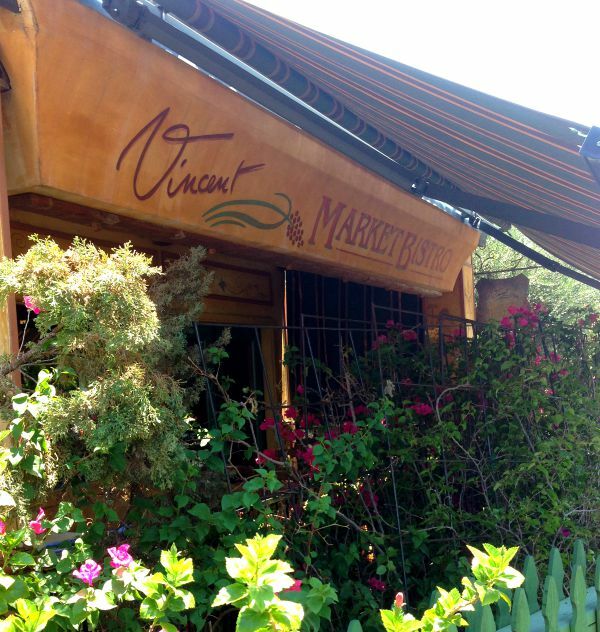 After Vincent’s we headed to the Dessert Botanical Gardens for a cooking class. I wanted to walk around the gardens because it was so beautiful, but it was about 110 degrees out and a little toasty for walking around outside. I plan on going back when the weather is cooler. Just goes to show you can have a beautiful garden without water or grass. 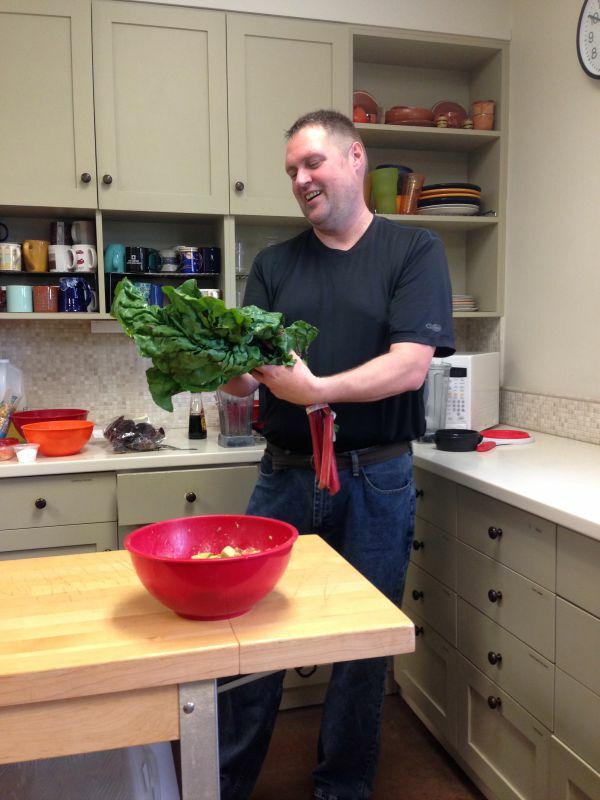 For the cooking class we met with Chef Jason Wyrick of The Vegan Taste. He is a remarkable man who was a meat lover that turned to Vegan after he was diagnosed with Diabetes. I loved Jason! He has such a passion for food and spice. He made us Cantaloupe Agua Fresca with peppers. Yum! Then he showed us how to make Guajillo Peanut Soup, which tastes amazing and has the perfect bite of peppers in it. Plus he made us Black Bean Torta with Sundried Tomato Aioli. That was the first time I ever had vegan mayonnaise and it was good. The sandwich was amazing and I plan on making that recipe soon and sharing it with you. I asked Jason and he told me it would be ok. Wither your Vegan or not, you will love Jason and his recipes. 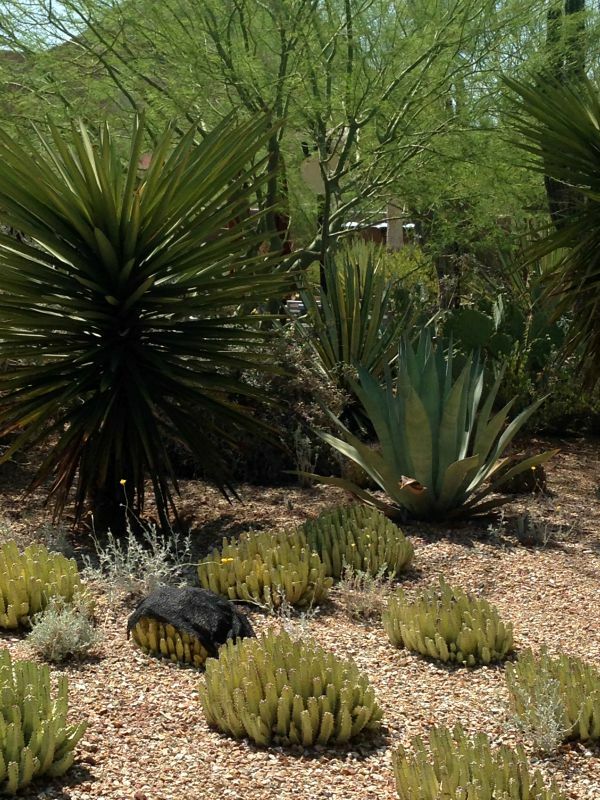 After we left the Dessert Botanical Gardens we headed to the Westin Kierland Resort & Spa. Since we checked in so late and I had an early morning flight, I didn’t get a chance to check out the resort as much as I wanted too. I can tell you the staff was so nice and accommodating and our hostess Jennifer was so sweet. The Westin Kierland Resort & Spa is a AAA Four Diamond Award-winning resort presents a host of opportunities for relaxation and renewal including Agave, The Arizona Spa, the 27-hole,Troon-managed Kierland Golf Club, the AdventureWaterpark with waterslide, lazy river and KierlandFlowRider wave simulator as well as 10 unique dining venues. I must go back! I have to check out the lazy river. 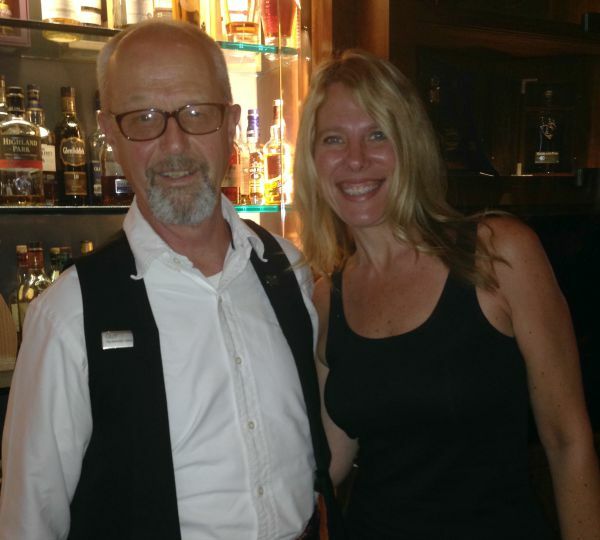 We met with Jennifer and we did a little scotch whisky tasting at the Westin Resort. I am not one for tasting scotch, unless it’s mixed with some fruity drink, but I did learn a lot. Did you know if you put a little scotch whisky on the palm of your hand and rub your hands together, you can smell all of the flavors. One smelled like flowers, the other I’m not sure, but the last one it smelled like chocolate and vanilla. You have to try it sometime, it’s pretty cool. Our teacher was amazing and he even wore a kilt! The Westin Resort features more than 100 single malts and 25 blends imported from all six whisky regions of Scotland (Speyside, Highland, Islay, Islands, Lowland and Campbeltown) and representing nearly half of the distilleries in Scotland today. I never realized there were so many Scotch Whiskeys. 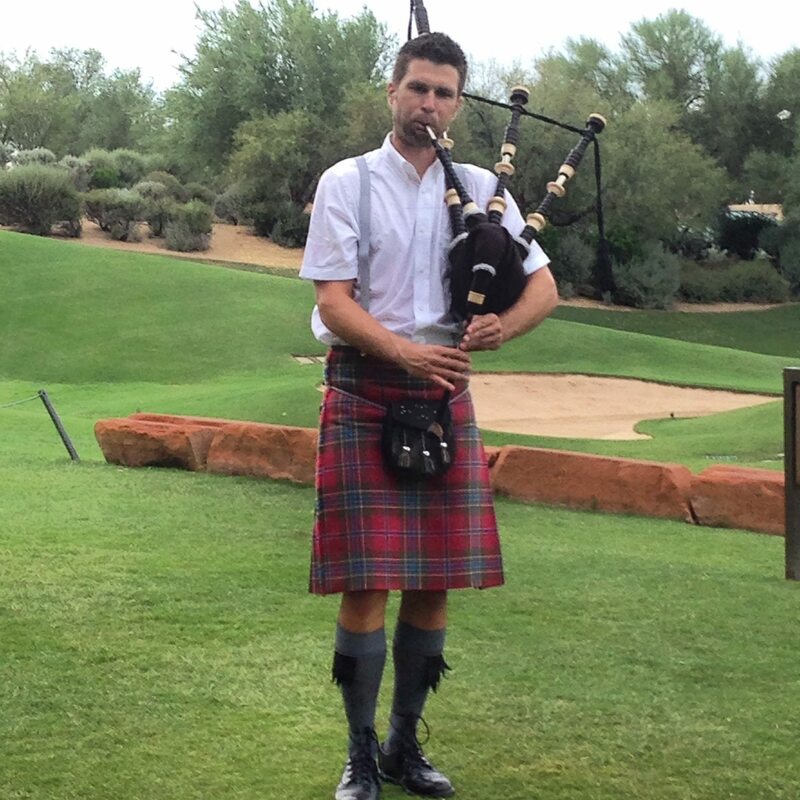 After the Whisky Tasting we met outside of the Westin for Bagpipes at Sunset. 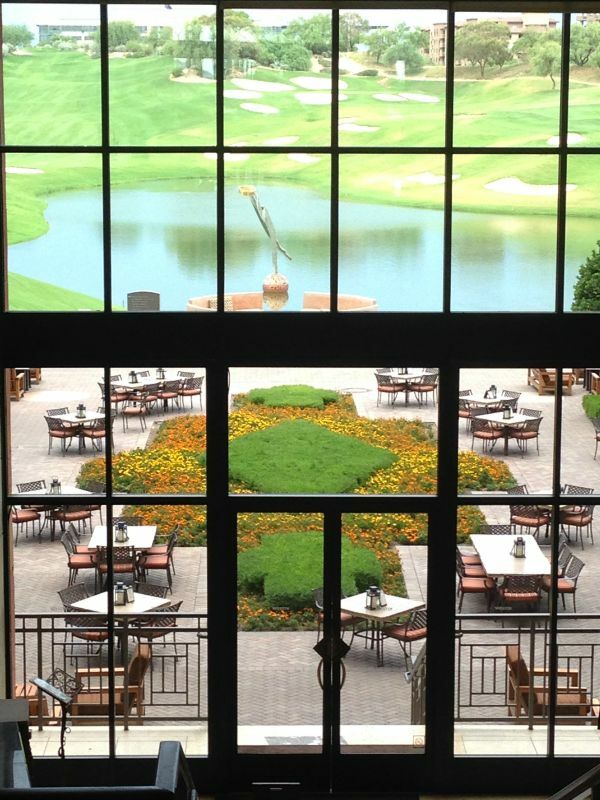 The weather was perfect and you can sit down with a drink or appetizer and listen to the sounds of the bagpipes. It was an enjoyable evening. After that we headed to Deseo for an amazing dinner. 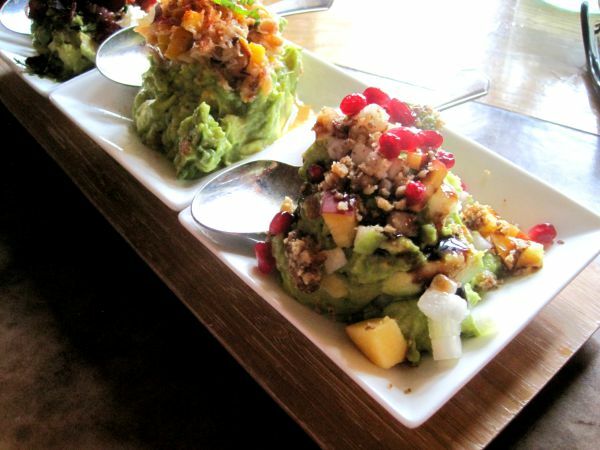 The Deseo is an upscale restaurant offers authentic Latin-influenced dishes. They also have features a ceviche menu and a Muddle Bar, where exotic cocktails are created by smashing together the freshest of fruits and herbs with a “muddler” to release their intense flavors. I had a muddler, but I guess you already know that! lol After all of the food I ate, you can guess that I was pretty darn full! I did have an amazing kobe vaca encebollada which is grilled kobe skirt steak with and huancaína potato and oven-dried tomato but as you can guess I was stuffed and couldn’t eat it all. I had such a wonderful time there and would make for a great place to meet with friends. After dinner I headed back to my room for a 3am wake-up call. I really did a lot on this trip and had the best time. I can’t wait to go back to Phoenix and checkout more! Thank you for inviting me on this trip! I had the best time ever and I can’t wait to share more!